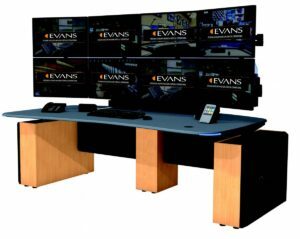 Control Room & NOC Consoles - Revco, Inc.
Evans Consoles control room and NOC consoles are unparalleled in the industry when it comes to innovative designs, ergonomic considerations and overall quality and durability. 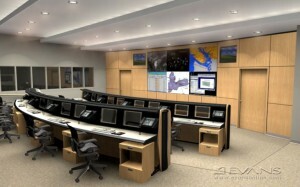 Evans Consoles is the world leader in the design and manufacture of custom control room and NOC solutions for mission critical and technology intensive facilities. 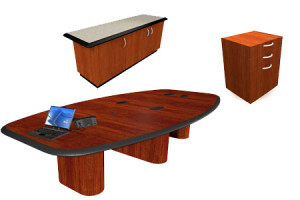 Specializing in custom console, millwork and audio-visual enclosures, Evans has built a reputation as the Worldwide Leader in creating console solutions for 24/7 critical environments. 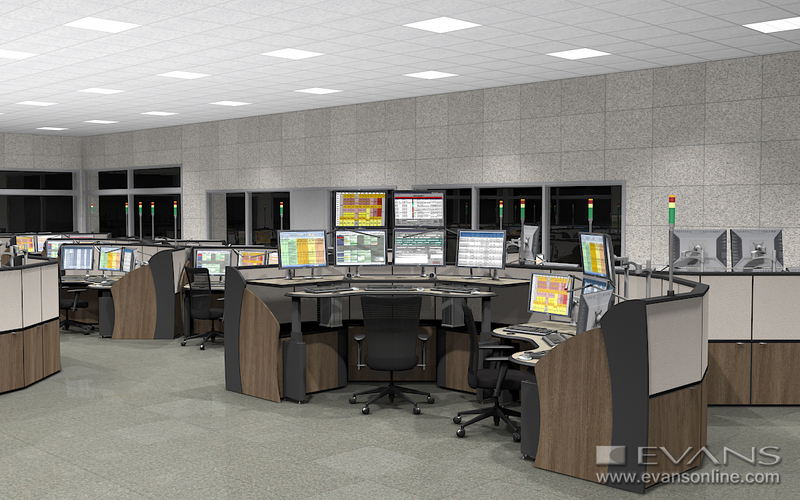 All Evans Console solutions are custom designed to suit your unique requirements, using nothing but the highest quality materials in an ISO 9001 certified factory. All projects are staged prior to shipment, ensuring that nothing but the absolute best reaches your facility. 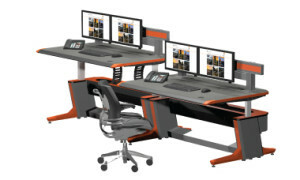 Strategy SX™ combines the latest in operator comfort and ergonomics with superior cable management and technology integration. Built on an aerospace-grade extruded aluminum frame, this console has been specifically designed for technology-intensive, 24/7 environments. No longer must you choose between durability and design. The future heavy duty 24/7 console is here. Introducing the first open concept console: The StrategyAir. 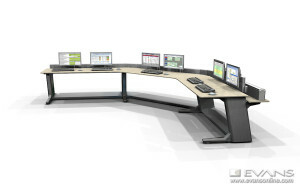 Designed for lifetime use, the StrategyAir incorporates the latest in cable management, technology integration and design, while offering a fully scalable and flexible solution. 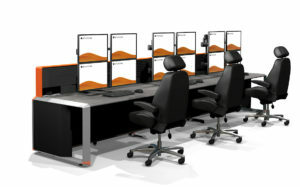 Strategy Air™ Sit Stand has been ergonomically designed to enhance the health and productivity of operators, giving flexibility to interact with their immediate environment. Limited only by your imagination, Evans’ Identity™ is our most flexible console platform design and sets the industry standard for ergonomic performance and appearance. 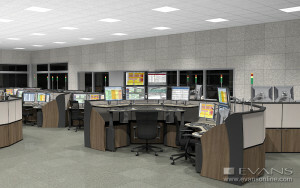 Response NEXTGen™ is the ultimate solution for your next control room project. From enhanced monitor mounting options to EVANS’ patented ergonomic nosing and frame design, Response NEXTGen enables optimal efficiency for your operators. Response NEXTGen gives you a world of choice as you consider the best console options for your project. 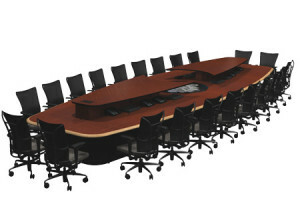 Evans’ Technology Tables have been specifically designed to integrate modern technology into a boardroom style meeting table that can be turned into a command center with the touch of a button. As the premiere custom console provider, Evans’routinely includes custom millwork to ensure a complete control room solution. 24/7 Intensive use chairs with a sophisticated design and unparalleled durability from one of the premier manufacturers in the industry, Concept Seating.